PSG, Inc. was the design build contractor for this project and Wanasek Corp. was the earthwork contractor. 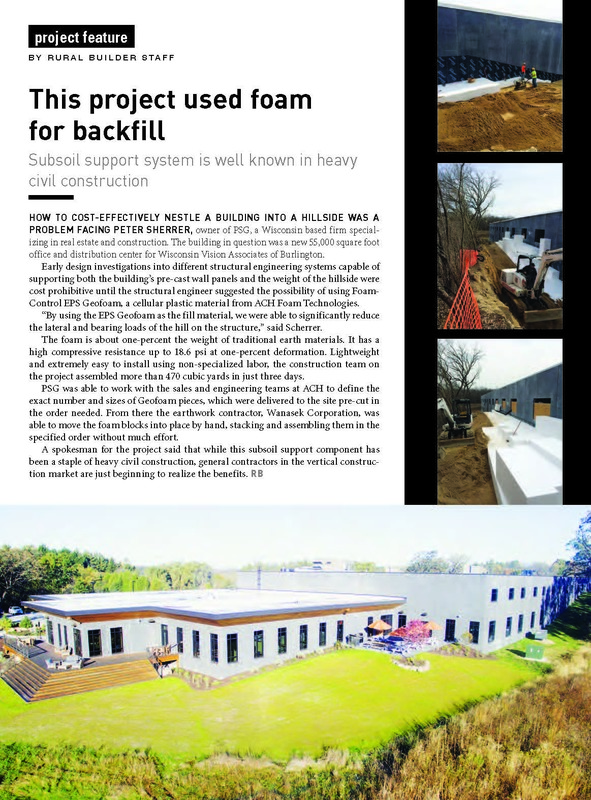 The use of Geofoam provided a cost effective soultion for nestling the northeast corner of the building into an exisiting hill. This met the design objective of positioning the building and site improvements within the natural contours and among the mature trees of the site, maximizing and preserving the beauty of the property. You can read the SBC Magazine Article here. And see the Rural Builder Article here.